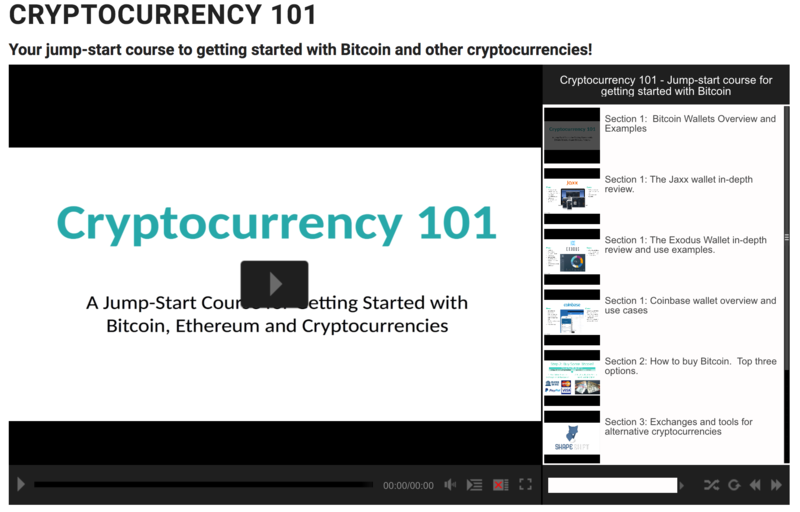 I’m happy to announce the release of a new course that’s perfect for those that want to get started with Bitcoin, Ethereum and other cryptocurrencies. In only 2 hours, this jump-start course will cover everything you need to know about how to get started with Bitcoin and other cryptocurrencies. You’ll see several live demos and tutorials on how to get a wallet, how to use it and even live trading examples on popular exchanges. https://nodeinvestor.com/wp-content/uploads/2017/05/Screenshot-2017-05-29-16.56.14.png 1284 2008 Node Investor https://nodeinvestor.com/wp-content/uploads/2017/04/NodeInvestor-logo1-300x170.png Node Investor2017-05-30 23:08:282017-05-30 23:10:55Cryptocurrency 101 Video Course!